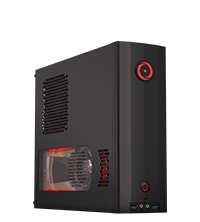 Learn About ORIGIN PC Professional Workstations and Contact the Dedicated ORIGIN PC Government and Corporate Sales Team. ORIGIN PC is looking for innovative, hard working, and talented individuals to help drive an exciting new PC company. A passion for PC hardware is required. Noobs need not apply. As an ORIGIN PC Marketing Manager, you will be responsible for developing, implementing and executing strategic marketing plans for ORIGIN PC in order to attract potential customers and retain existing ones. Your day-to-day tasks will include managing and coordinating with the marketing team and leading market research efforts to uncover the viability of current and existing campaigns, products, services and initiative. You will be the liaison with media organizations, advertising agencies, partners and developers in order to implement ORIGIN PC marketing strategies in the most effective ways possible. You are responsible for working with executives to determine budget and targets, and developing campaign strategies for products and services in order to deliver profitability and results. You should have excellent communication skills and be able to express ORIGIN PC’s views professionally. Additionally, you will develop, maintain, and proactively seek new partnership and influencer opportunities and work closely with the marketing team on collaborative projects tying in social media, advertising, and the ORIGIN PC website. You will work closely with many influencers, hardware partners, game developers and publishers from all over the world. 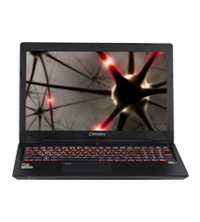 Travel may be required to coordinate and communicate with partners and to ensure that the ORIGIN PC brand is properly represented at key tradeshows such as CES, PAX, E3, and more. Own all marketing aspects of ORIGIN PC, including strategy, budgeting, promotions, social demonstrations, lead generation and ROI assessment. Develop and control marketing budget by forecasting and overseeing all media buys and running quarterly reports in addition to managing internal resources. Measure and evaluate the impact of all content and initiatives executed by ORIGIN PC and produce marketing reports based on campaign performances. Continuously improve by capturing and analyzing the appropriate data metrics, insights and best practices, and then acting on the information. Evaluate and manage incoming media requests to build creative and strategic connections. Collaborate with other departments (events, web, customer service, sales, product group etc) to identify key opportunities and coordinate actions. Source, host and manage promotional activities and activations. Provide weekly media updates for status meetings, including developing and regularly updating status sheets. Lead, oversee and organize the marketing team daily to ensure alignment and timeliness across the department. Bachelor’s Degree in Communications, Marketing, Advertising or related field. Minimum 4-5 years of experience in digital strategy and/or marketing. Must have a passion for and solid understanding of gaming and PC hardware. Must excel with regard to analyzing data, with proven experience with Google Analytics, web and social metrics, ecommerce, etc. Strong creative, strategic, analytical, organizational and personal sales skills. Very strong time management skills and the ability to manage multiple projects at a time. Strong leadership skills and ability to manage team dynamics to ensure deadlines are met. Must be familiar with streaming and social platforms and know how to properly tailor content for each one, including Twitch, Mixer, YouTube, Facebook, Instagram, Twitter, LinkedIn. Available to travel and work weekends when necessary. Technical PC hardware experience is preferable. Email your resume and cover letter to [email protected]. Full time position located in Miami, Florida. Manage Customer Service and Tech Support personnel. Oversee customer relationships to provide the best experience in the industry. Provide analytics on service and call center performance. Measure customer satisfaction metrics. Get access to exclusive offers! 2019 ORIGIN PC Corporation. All Rights Reserved.